Varzea's woven from jute, a tough plant used for making rope and cloth, and wool. So it's durable, but soft underfoot. With blocks of soft Scandi neutrals and blues, it'll draw your eye across your room – max impact. 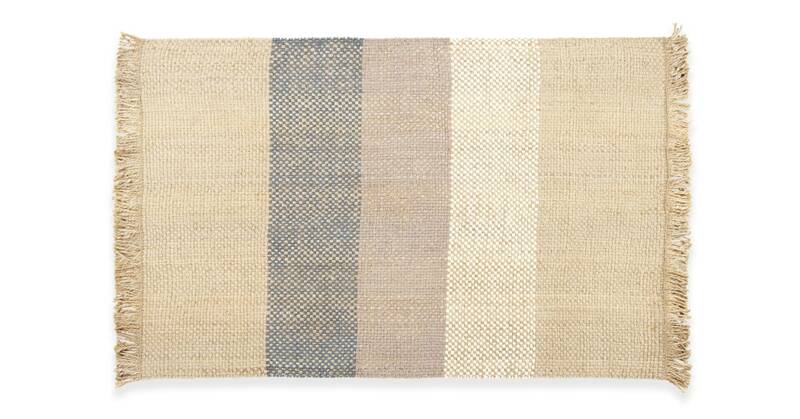 Its jute wool blend makes this rug unique, but also naturally insulating. It'll keep you cool on hotter days and warm in the winter months.